The Cutting Edge - Blog. 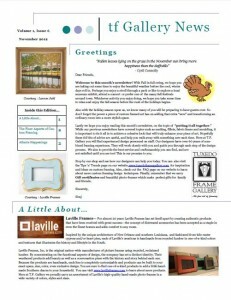 Click here to view the November newsletter. Hope you enjoy! 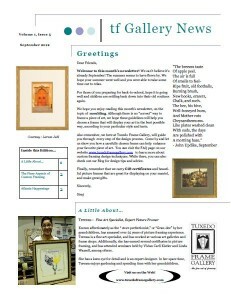 Click here to view the September Newsletter. Enjoy! 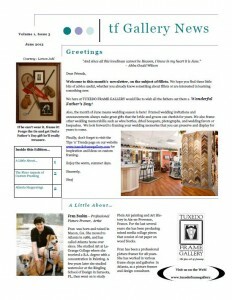 Click here to view the July Newsletter. Enjoy! Click here to view the May Newsletter. Enjoy! 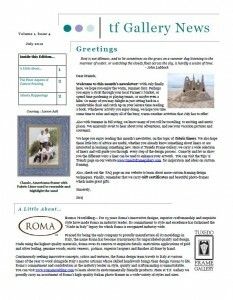 Click here to view the February Newsletter. Enjoy! Have you ever walked into a room and had your eyes drawn to a beautiful piece of art on the wall? Chances are the art was custom framed. 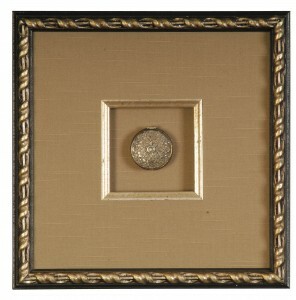 I believe that custom framing is like the icing on a cake – it serves to enhance a beautiful piece of art. Yet it is often the most overlooked aspect of interior design. In my opinion, custom framing is one of the best ways to personalize your home or space, and surround yourself with art and other personal belongings that inspire you and make your life enjoyable. I love custom framing! If you don’t love it yet, I hope I will be able to change your mind. If you know something about custom framing, I hope to strengthen your feelings and inspire you. 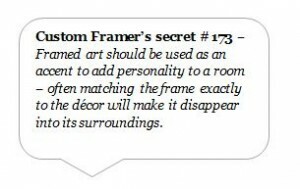 If you don’t know much about custom frames or haven’t really thought about it, I’d like to show you how it can enhance your art and enrich the room it is displayed in. Moreover I’d like to get you excited about custom framing … and also show you how much fun it can be! Through this blog, I hope to introduce you to the basics of custom framing – to make you comfortable with the process of designing a frame and share some framing ideas that will hopefully guide you and help make your next design a piece you can display and treasure for years. I look forward to hearing your thoughts and answering any questions you may have about custom framing. 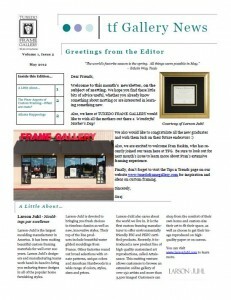 Welcome to the T. F. Gallery Blog! 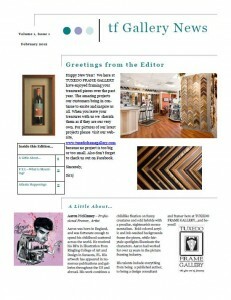 Please check back soon for the latest news and trends on custom framing and design.